This movie is pretty much what you would expect and hope it is going to be. 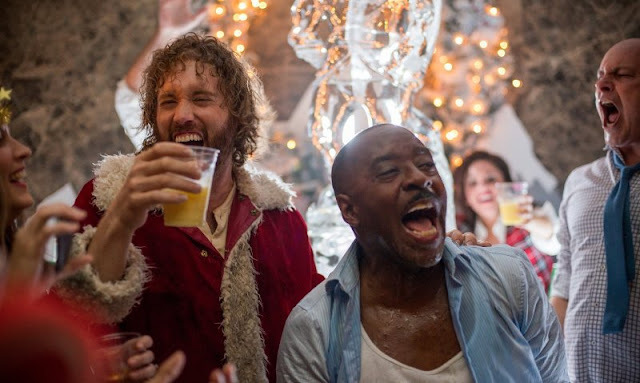 It is loaded with hilarious hi-jinks, alcohol infused antics, and enough chaotic comedy to pull you out of any type of holiday funk. Interestingly enough, it took three people to write the story, three more to write the screenplay, and then two more people to direct the movie itself. That's a lot of creative people putting their heads together in an effort to bring some seriously adult themed humor to the holiday season and, in my opinion, they knocked it out of the park. 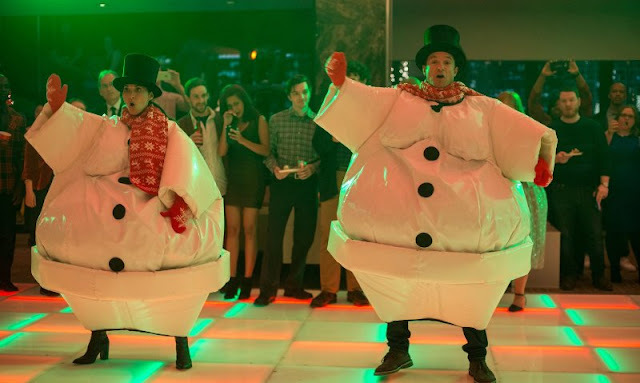 I'm not sure just yet if I would add this movie to my roster of must watch Christmas classics, but I would absolutely watch it again at some point. Sure, the story is great, but it's really the amazing cast of characters brought together for this film that puts it over the top. Jason Bateman is one of my absolute favorite comedic actors and he is perfectly paired with Olivia Munn in the two lead roles. Throw in TJ Miller, Kate McKinnon, Jennifer Aniston, and Rob Corddry, who are always hilarious, and you're pretty much guaranteed to have a successful comedy. Office Christmas Party is the office Christmas party you either have always wanted to have or have always feared was going to happen. Either way, you are going to love every moment of this yuletide ride through holiday cheer and Christmas chaos.